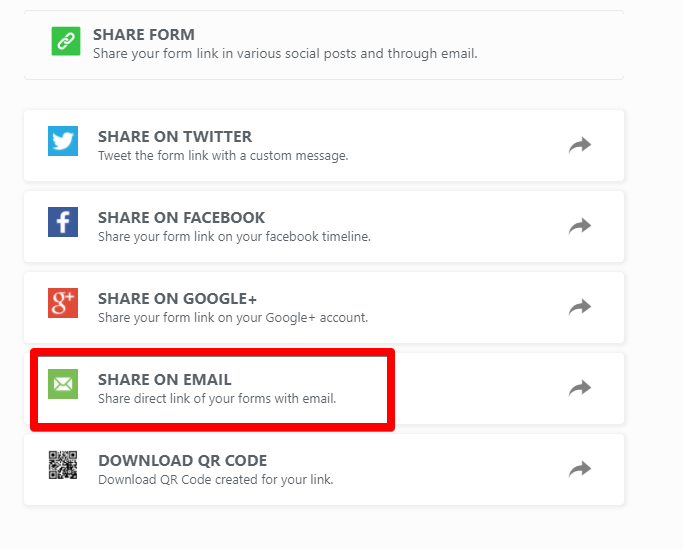 How can I send Email Blasts with JotForm? 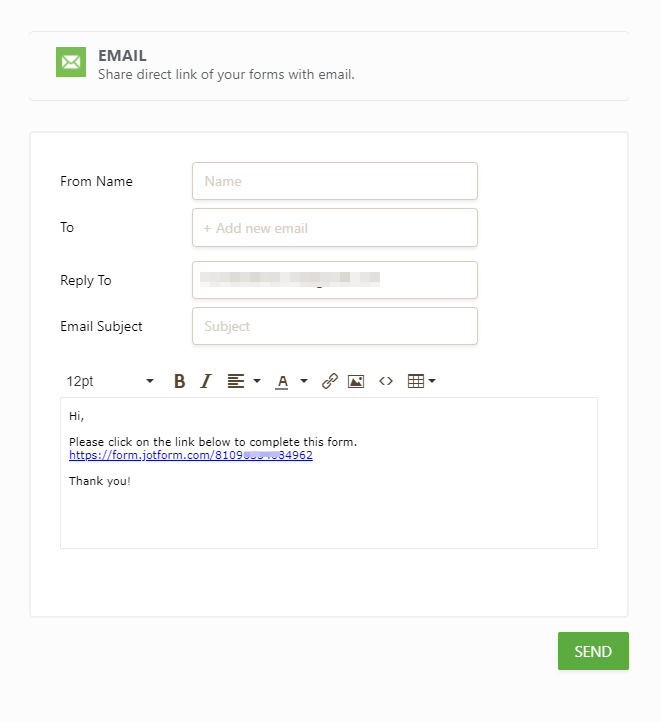 can i send an email blast of a registration from JotForm ? I'm afraid I cannot understand what exactly you want to do. Can you please provide us some information so we could assist you properly? In case if you want to send your Registration Form to multiple recipients via email, I suppose that it can only be done manualy with your email account. I have a contact list of 1000 people and I wanted to send this form to them. Based on the email about there is no way to do this from your platform. Correct ? If this option is not suitable for you, I can suggest using your own email account for that purpose or some kind of 3rd party application. For example, mailchimp.com. If there is anything else we could assist with, please let us know.